$4350.00 raised for The Children's Wish Foundation! Once again our annual charity golf tournament was a huge success and The Society of Fire Protection Engineers - Southern Ontario Chapter, would like to thank all of our participants, hole sponsors, volunteers, and prize donors for your continuing participation and support. The folks at Cardinal came through once again and provided us with a great course and wonderful food. The weather posed a few challenges but spirits were up and we still had loads of fun overall. Can't wait to see all of you on the course again next year! We are very excited to begin our Lunch & Learn program this season! We look forward to introducing the Chapter to new speakers and welcoming previous speakers back to SFPE SOC. In October this year we will be hosting a Site Tour at the OPG Wesleyville Fire Training and Incident Training Facility. This event has very limited space (24 people!) so be sure to register in advance if you are interested in attending! Remember to mark these dates on your calendar so you don't miss any of the interesting topics we have lined up! This year we have revised our costs to encourage early registration and payment! The discounted rate will only be available for purchase in advance of the event and all payments received after the early registration deadline will be subject to the regular ticket prices regardless of the booking rate. We understand that members that are accustom to reserving by email and paying at the door will need to make an adjustment, however, the majority of members that already pre-pay for events online will not be affected. We feel this will improve the sign-in process for all our members and reduce congestion at the door. We also feel that the new online registration and payment process is much simpler than in past years. For more information on our revised registration policy, please visit our Events page. Time to Renew Your Chapter Membership! All Chapter memberships are set to expire on August 31st, 2013. To renew your membership for the 2013/2014 season, please complete our Application Form. This is a one-time application process to create your personal account in our new membership database. If you are Corporate member, please have your company administrator apply for membership then add you as a member. If you require any assistance or have questions, feel free to contact us at membership@sfpesoc.com and we will be happy to assist you. For more information on Chapter memberships, visit our Membership page. Our new website is integrated with our membership database and will allow us to automate many of the tasks that we were previously handling manually. Some of the new features include giving you access to securely update your contact information, register for events, renew membership, and pay membership dues all online in real time. Additionally, corporate member administrators will have access to manage their own members. If you have any questions or comments regarding the new website, please contact webmaster@sfpesoc.com. SFPE members are invited to attend Canadian Automatic Sprinkler Association's upcoming Fire Sprinkler Educational Seminars that will be taking place in Toronto, ON—Tuesday September 17th thru Thursday September 19th—and in Ottawa, ON—Tuesday September 24th thru Thursday September 26th. All seminar attendee’s will receive a free workbook, continental breakfast, and morning and afternoon coffee break. For more information and to view all of CASA's Seminar Topics and Locations across Canada please visit our website at http://www.casa-firesprinkler.org/education.html. Please feel free to pass this information on to any of your colleagues who may be interested in attending the seminars. This two-day program provides the participant with the latest procedures for design, layout and Installation of fire sprinkler systems providing fire control and suppression for storage and warehouse occupancies. The course will discuss in depth the sprinkler protection of General Storage, Rack Storage and Special Storage in accordance with NFPA 13. This one day seminar provides attendees with vital information on determining compliance with fire sprinkler system design and installation rules in accordance with NFPA 13. This Two-day seminar provides the information necessary to navigate through the requirements of NFPA 13 “Standard for the Installation of Sprinkler Systems”. Using lectures, videos and basic sprinkler plans the participant will locate the vital information for determining compliance of the sprinkler system design. This One-day seminar will focus on the two primary questions that all AHJs are concerned with when it comes to water-based fire protection systems, “will the system work?” and “how do I know”. Through interactive discussion and activities this seminar will cover the administrative chapters (1-4) and the corrective chapters (14-15) of NFPA 25. Centering on documentation and processing, this seminar will provide the attendee with guidance on developing and continuing a relevant enforcement program. Announcing our 16th Annual Charity Golf Tournament! 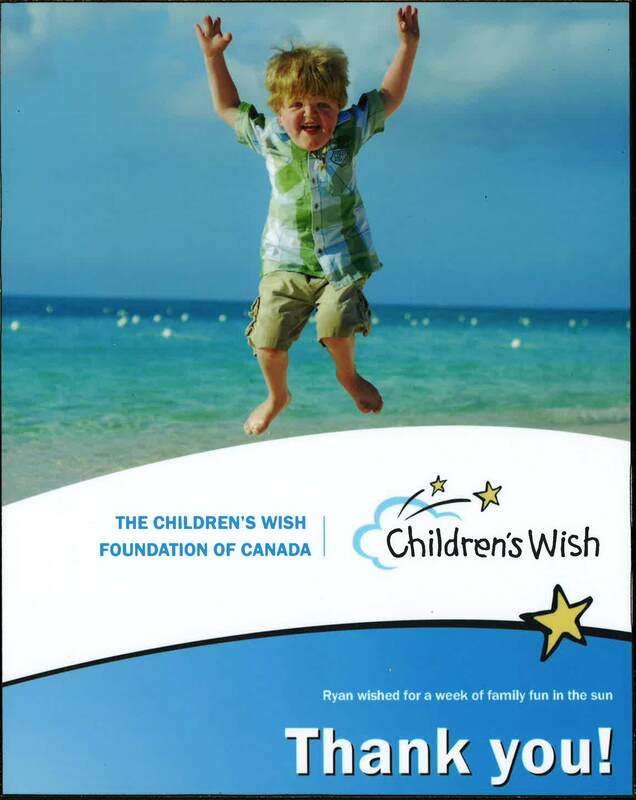 Please join us for a great day of golf, food and friendship at our 16th Annual Charity Golf Tournament on Thursday, June 6th, 2013 in support of The Children’s Wish Foundation. Once again, we will be returning to the beautiful and challenging Cardinal Golf Club in Newmarket. Golf, Cart rental, BBQ lunch, steak dinner and prizes are all included for $200.00 per person. Save $25.00 if you register before May 15th, 2013! Registration begins at 10:30 AM and the golfing starts at 1:00 PM. For more information please visit our tournament registration page! See you on June 6th. The Ninth Annual Fire Safety Conference, sponsored by the Greater Atlanta Chapter of the Society of Fire Protection Engineers will be held on March 11, 12, and 13, 2013. Once again, there will be two days of pre-conference seminars. These seminars cover a broad range of current fire protection engineering topics such as: Fire and Evacuation Modeling; Principals of FPE; Changes to NFPA standards; Fire Pumps (including a tour of a local pump manufacturer); Combustible Dust; Emerging Technology; Fire Alarm ITM and, of course, How to Study for the FPE/PE Exam. Wednesday is the Fire Safety Conference. The conference has expanded to five different tracks offering programs that appeal to all facets of the fire safety community: engineers, contractors, fire service members, and insurance underwriters. Attendees receive a great value, three days of training for between $449 and $599. AHJs can attend all three days for between $199 and $299. For those who attend the seminar How To Study For The FPE/PE Exam, the Fire Safety Conference is FREE! Please see the conference brochure for more pricing options. The Fire Safety Conference and Pre-Conference seminars continue to be a great (and relatively inexpensive) way to stay abreast of fire protection engineering topics and earn continuing education to maintain engineering licensure and other certifications. The Canadian Fire Safety Association is pleased to announce three upcoming technical sessions that may be of interest to Chapter members. Note that the “Orillia Student Housing” one includes a lunch, and the intent is to have an extensive discussion period following the presentation, to identify key safety issues regarding student housing and propose some solutions and next steps. Chapter members will enjoy the “member rate”. Simply indicate that you are an SFPE SOC member and write the name "Susan Clarke" on the registration form so that the Registrar will honour the offer. The SFPE St. Lawrence Chapter is sponsoring the Dust Explosion: Hazard Recognition, Assessment and Management. The course will take place on January 21-22, 2013 at Sandman Hotel in Longueuil, Canada. This two-day course covers the chemistry and physics of dust deflagrations, the process and progress of dust explosions, and the means by which the dust explosion hazard can be managed in both prescriptive and performance-based design environment. Several sample problems will be included as part of the seminar content. Participants should bring with them a scientific calculator, scratch paper and current editions of NFPA 68, 69 and 654 for working the course problems. On behalf of the executives of the Southern Ontario Chapter of the Society of Fire Protection Engineers, we would like to extend our congratulations to Randal Brown for having recently been awarded the Society of Fire Protection Engineers (SFPE) Harold E. Nelson Service Award. It gives us great pleasure to acknowledge the recognition of one of our members. His dedication to the industry and involvement in the various standards committees is well known and appreciated. For more details, please see the News Release from SFPE International.